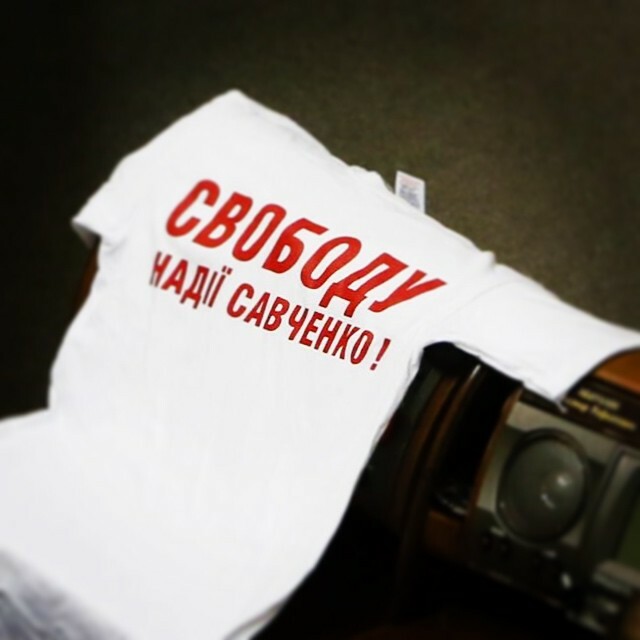 The Verkhovna Rada of Ukraine [Ukraine’s Parliament] voted for two resolutions to appeal to the Parliamentary Assembly of the Council of Europe [PACE], and separately to German Chancellor Angela Merkel, French President François Hollande and the President of Russia (the leaders of the participating countries in the “Normandy format” negotiations) on the release from custody of Batkivshchyna Party MP Nadiya Savchenko. It so happens that we do not have direct contact with Puyhlo [pejorative for Putin], so it is necessary that we demand that others, who do, talk. With the language of sanctions and the language of diplomacy. And we are doing everything for this to happen. At PACE, negotiations are ongoing and they are considering various possibilities from adding pressure to making concessions to the Russian delegation for the purpose of one common goal – the liberation of Nadiya. Now it’s a question of saving her life. In the balcony of the Parliamentary chamber her sister also stood, who has been keeping up so courageously for so many days. 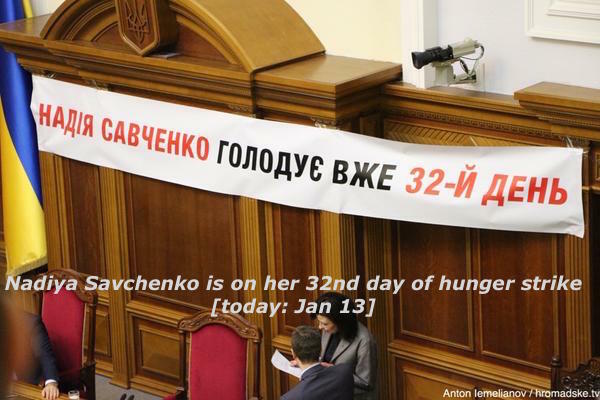 This entry was posted in #Free Savchenko, English, English News, Pictures, War in Donbas and tagged #FreeSavchenko, #Nadiya Savchenko, #RussiaInvadedUkraine, #UkraineUnderAttack, Ukraine, Verkhovna Rada. Bookmark the permalink. Европа не молчи!!! Тебя тоже убивают!